With several photos and illustrations. This book provides an abundance of attractive nature myths and a cycle of legends recounting the exploits of the wonder-working demigod Maui. 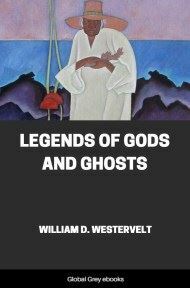 Lovers of legendary lore will love this collection of traditional tales of the Hawaiian people. The ancient Hawaiians were of an imaginative turn of mind, and their traditions abound in tales of gods and goblins. As soon as the Hawaiian alphabet was prepared, in 1821, native writers began delving into their past, finding there a treasure-mine of romantic stories and of valuable ethnological and historical facts in regard to the Polynesian race. These stories were written originally in Hawaiian, for native newspapers, and have been collected and translated by the author.